Preheat the oven to 200°C. Spray and line a loaf pan. Chop up half of the sliced olives, saving the rings to put on top of the loaf. Set aside. In a medium-sized mixing bowl, beat the flax seeds, almond milk, apple cider vinegar and eggs together until well combined. Add the dry ingredients, mixing until combined. 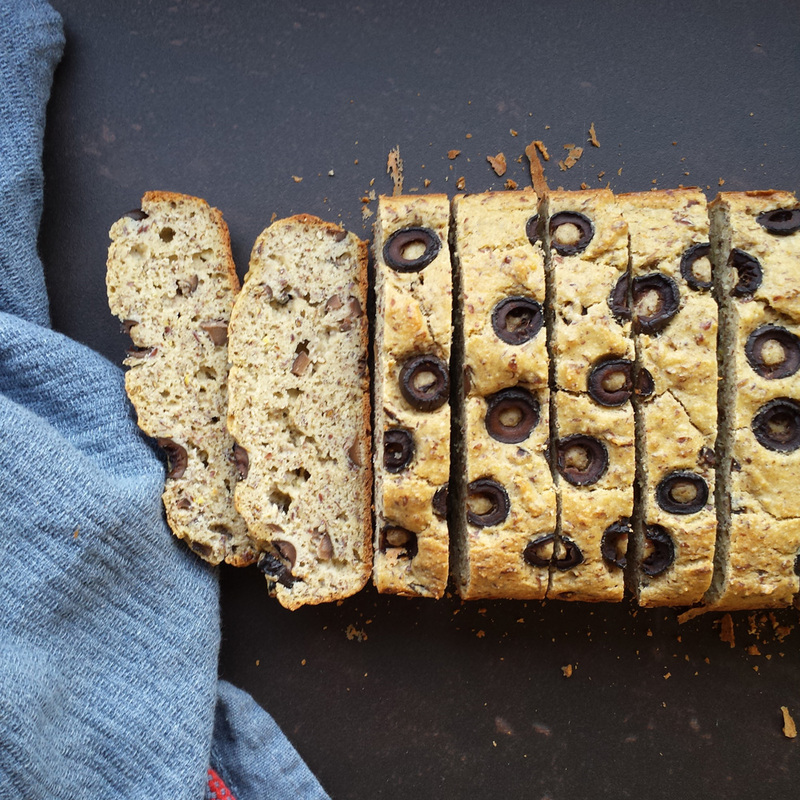 Stir in the chopped olives, and pour the batter into a loaf pan. Spread evenly, and gently press the olive slices into the top of the batter. Bake for 40 minutes. Let cool completely before storing in an airtight container.